Bubbles racing roadrunner. . HD Wallpaper and background images in the Powerpuff Girls club tagged: powerpuff girls powerpuff ppg bubbles. This is awesome! :D Do you know who drew it? This pictures is weird. who name that bird? 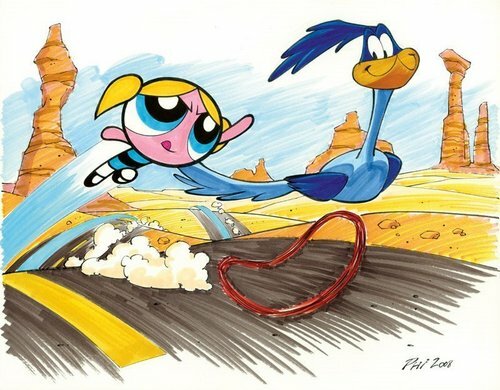 That looks like a scene from my fanfic, The PPGs and the Road Runner. Thank you!